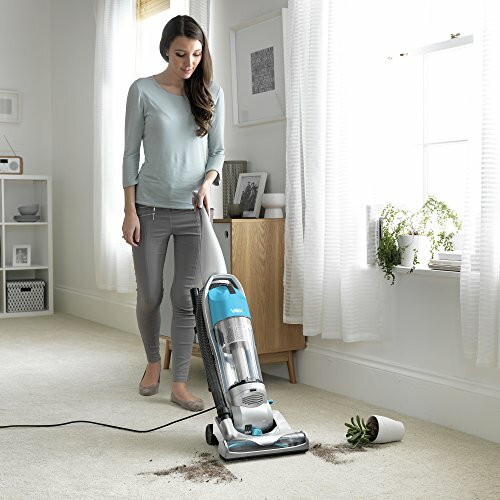 This affordable and bagless hoover from Vax efficiently demonstrates why you probably don’t need to spend several hundred pounds on a Dyson – regardless of the circumstances. We recently received the unit, and wanted to put it to the test; and, after properly testing it, we wanted to share our experience. 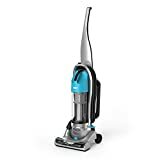 The Vax Power Nano (UCNBAWP1) is many things, but – to name a few of its most noteworthy attributes – it’s a fraction of the cost of a Dyson hoover, arguably much more competent than a Dyson, and is just as – if not more – easy to store in your cupboard as any Dyson. As soon as the hoover arrived, we noticed that it was surprisingly compact. It features a foldaway handle that helps to minimize the awkwardness which often accompanies putting away a vacuum cleaner. In terms of its weight, it also happens to be relatively light at just 5.25kg. The hoover has an adjustable floor head, meaning that it can be adapted for use on both hard floors and carpets (especially nice, considering many of us still have the odd carpeted bedroom or antique rug). A telescopic extension hose allows for an easier time with those hard-to-reach areas, and Vax kindly provide several adaptors for use with the hoover, including an upholstery nozzle, a crevice nozzle, and a dusting brush, meaning that you’ll be well-equipped to deal with any hoovering challenges you might have in the home. Not only is the dust tank of the vacuum bagless, it can also has a maximum capacity of 2 litres. Even though this was larger than we had expected, we were still surprised at how much it picked up the first time we used it. As far as bells and whistles go, it features a built-in pet-odour filter, which has been designed to eradicate the rather unpleasant scent which tends to accompany our most beloved furry family members. There’s also a HEPA filtration system, which purports to minimize allergens for those of you who are sensitive to that – however, we weren’t able to test this out ourselves as none of us are particularly susceptible to allergies. We tested the hoover on a variety of surfaces, including both hardwood floors as well as carpeted rooms. After some extensive trials, we have to say that we’ve been blown away by how well this works – especially when you factor in its cost. While we didn’t carry out any kind of direct comparisons with our Dyson, it did seem to pick up significantly more tiny debris, and the floors we had tested it on all looked fantastic after a quick once-over. Another surprising quality of the Vax is that it’s noticeably quiet compared to other hoovers. Our only real complaint had nothing to do with the function of the product, but rather the design; the telescoping hose is slightly too short, and the ability to stretch it an extra foot would have pretty much made this our favourite cheap vacuum. Nonetheless, we have to recommend the Vax to anyone out there looking for an affordable, efficient, and easy-to-store vacuum cleaner.